Dr. Arora's primary research interests focus on the dissemination and implementation of evidence-based practices in school and community settings for underserved youth and adolescents. Specifically, using mixed methodology and participatory research methods, Dr. Arora is interested in barriers to accessing evidence-based mental health treatments and the adaptation of evidence-based practices for ethnically diverse and underserved populations, with a particular focus on immigrant youth. Dr. Arora has additional interests in the interface of research with policy and international school psychology. Dr. Blake’s research examines the developmental trajectory of peer-directed aggression, bullying, and victimization in socially marginalized youth and racial/ethnic disparities in school discipline with a specific focus on Black females. Dr. Bocanegra’s current research interests include the understanding of factors associated with increased diversity recruitment and the creation of minority and general recruitment interventions. He also studies how better facilitate students' cultural competency. Dr. Calderón’s research interests are focused in cognitive and academic assessment, mathematics learning development, bilingual and multicultural psychology practice issues, and acculturation and identity processes. Culturally responsive social-emotional and behavioral interventions for CLD students and families. Social-Emotional Learning for ELLs and refugees. Best practices in assessment and intervention for ELLs, immigrant and refugee children. Dr. Collins is primarily interested in the development of time- and resource-efficient interventions to support African American students in urban schools with limited resources. Dr. Collins has focused on developing peer-mediated interventions to address the academic, behavioral, social, and emotional needs of students within multi-tiered systems of supports (e.g., School-Wide Positive Behavior Interventions and Supports, Response-to-Intervention). Dr. Collins is also interested in the development of strategies to reduce the overrepresentation of African American students in special education, as well as to increase the number of African American students receiving gifted education supports. Dr. Clay Cook is an Associate Professor of School Psychology at the University of Minnesota. He has extensive research and practical experiences involving the implementation of multi-tiered systems of support to promote more equitable social, emotional, and academic outcomes for students. He has received over 7 million dollars in external grant funding to conduct research on the adoption and implementation of evidence-based practices for students from historically disadvantaged backgrounds. As a developmental psychologist, Mike has a program of research that focuses on racial, ethnic, psychosocial, and socioeconomic processes that affect psychological well‐being, adjustment to chronic stressful events, and academic achievement among African American adolescents and their families. He uses mixed methods in his current research project that includes the study of gender‐specific patterns of resilience and vulnerability in urban African American participants. Dr. Edwards' early research addressed theories of intelligence testing of racial/ethnic minorities and the psychosocial development of children raised by grandparents. Currently, he is researching social support networks as well as health disparities and their impact on ethnic minority school children. Dr. Fisher’s research focuses on improving life outcomes for diverse populations. This manifests itself in two distinct lines of research. The first involves investigating risk and protective factors related to mental health and substance use outcomes for minority youth. The second line of research focuses on the dissemination and implementation of mental health/substance use interventions in urban schools. Dr. Goforth investigates culturally responsive evidence-based practice for children from culturally and linguistically diverse backgrounds. She is interested in school-based mental health and addressing the needs of underrepresented students. Dr. Gonzalez investigates the development and acceleration of children's oral language, especially English language learners and other diverse populations. He is especially interested in the role of the home literacy environment and Latina maternal beliefs and values around child language development. Dr. Graves interests can be broadly categorized as understanding protective factors that lead to appropriate development in early childhood. His research agenda is focused on identifying strengths in African American children that lead to positive social–emotional and academic outcomes. Anne Gregory, Ph.D. is an associate professor at the Graduate School of Applied and Professional Psychology at Rutgers University. Her research has focused on the persistent trend that African American adolescents are issued school suspension and expulsion at higher rates than adolescents from other groups. Through program development and evaluation, she aims to improve educational settings for students from diverse racial and ethnic backgrounds. Aaron A. Gubi, PhD, is a licensed psychologist and NCSP. He is an Assistant Professor in the Combined Clinical-School Psychology doctoral program in the Department of Advanced Studies in Psychology at Kean University. His primary research interests include investigations into multicultural competency and diversity recruitment practices within school psychology. His research team is also engaged in projects that seek to investigate and improve school-based services to children who have experienced child maltreatment and trauma. He continues to maintain clinical practice with diverse children and families, working in part-time positions with the NYC Department of Education and NYC Health and Hospitals. Bryn Harris, PhD, NCSP, is an Associate Professor in the School Psychology doctoral program in the School of Education and Human Development at the University of Colorado Denver. Her primary research interests include the psychological assessment of bilingual learners, health disparities among bilingual children, particularly those with autism spectrum disorder, culturally and linguistically diverse gifted populations, and improving mental health access and opportunity within traditionally underserved school populations. She regularly conducts international research, primarily in Mexico. Dr. Herbstrith’s current research projects focus on social-psychological phenomena such as prejudice and discrimination as they occur in the pre-K to 12 school environment. She studies a range of "outgroup targets" of prejudice and discrimination, although her major focus is on families and children in the LGBTQ+ community. She is also interested in attitudes toward religion and religious expression in school systems, with particular emphasis on the contrast between attitudes toward Christianity and other religions such as Islam. Dr. Maria Hernández Finch's primary research areas include the intersection of diversity, early learning, and assessment/identification with a focus on equity and traditionally understudied and disenfranchised populations on both ends of the human exceptionality continuum. Current studies and grants focus on early gifted identification and twice exceptionality, investigating the developmental trajectories of individuals with Autism Spectrum Disorder, efficacious suicide prevention training, and culturally relevant and responsive intervention, consultation, and school support team collaboration. My research focuses on interventions that foster resilience and support the socio-emotional health of children and adolescents of color. My current projects focus on culturally responsive interventions including the following: 1) cultivating resilience through ethnic identity, 2) nature-based education as cultural immersion, and 3) art-based mindfulness in schools. All three projects investigate the impact of interventions on school engagement and sense of belonging in students of color. Dr. Li’s research focuses on (a) understanding English language learners (ELLs) and immigrant children and (b) culturally and linguistically appropriate assessment and intervention/prevention. Currently she has four bilingual graduate students conducting research with her on these topics. Three of the students are at advanced stage. Next year and the year after she would like to have 1-2 Ph.D. and 3-4 M.S. bilingual students. Dr. Malone’s primary research interest relates to the multicultural and diversity issues embedded in the training and practice of school psychology. Specifically, she focuses on multicultural competence, the ability to work effectively with diverse populations through the application of cultural knowledge and to demonstrate awareness of and sensitivity to cultural issues. The overarching themes of her research are as follows: identification of multicultural competencies, development of multicultural competence through education and training, and the relationship between culturally competent practice and K-12 student outcomes. Dr. Nascimento’s current research focuses on resilience and self-esteem of children who are victims of bullying because they identify as or are perceived to be LGBTQ. Other research focuses on second language acquisition issues, particularly of immigrant and refugee groups, and the role of language development issues as a root for labeling behavior as socially maladaptive. Dr. Noltemeyer is currently involved in research on racial/ethnic disparities in school discipline, implicit biases in teacher decision making, and positive behavioral interventions and supports. She is also engaged in a pilot project exploring how teachers' physiological stress response to challenging student behavior varies based on child and teacher characteristics. Dr. Pearrow’s research interest focuses on access and outcomes of behavioral health services when systematically integrated into schools. Her projects specifically aim to build research on addressing inequities in urban school communities and build the literature on evidence-based practices with underserved populations. 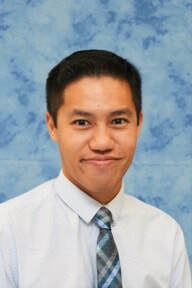 Dr. Pham’s research interests including examining neurocognitive (e.g., working memory, attention) and sociocultural variables (e.g., acculturation, parent perceptions of disorders and treatment) that affect academic and mental health outcomes of children, adolescents, and diverse populations. He aims to reduce ethnic disparities in mental health and education by determining risk and protective factors in minority youth and families. Dr. Sherrie Proctor's primary research interests are related to the recruitment, retention, and attrition of students of color from school psychology programs. More specifically, she studies the racially and ethnically diverse students' experience of racial microaggressions in school psychology programs. She also studies the academic and social experiences of African American students in school psychology graduate education. Methodologically, she often engages qualitative research methods to illuminate the voices of those often not heard in school psychology research. Dr. Raines investigates early identification of behavioral and emotional disorders, subsequent interventions and outcomes across different groups. More recently, she partnered with Clark County Schools and the City of Las Vegas on their implementation of My Brother’s Keeper, an initiative that was recently adopted by President Obama to expand opportunity at key moments in the lives of young men of color. She is leading the program evaluation and providing technical assistance for participating schools. In addition to her passion for research, Dr. Raines is also dedicated to the improvement of cultural competence and increase of bilingual practitioners in the fields of mental health and education. Dr. Rogers’ research interests include advocacy, equity, student of color recruitment and retention, and cross-cultural school psychology competencies. These interests are embedded throughout the research, teaching, and service work she focuses on at URI. Dr. Sullivan’s research focuses on identifying education and health disparities among children from culturally and linguistically diverse backgrounds, and understanding equity in and effectiveness of the educational and health services they receive. She is particularly interested in elucidating disparities in the educational treatment and outcomes of students with and at-risk for disabilities and identifying malleable factors related to outcomes in order to inform policy and practice to better support students’ educational needs. Dr. Varjas is a Professor in School Psychology and Director of the Center for Research on School Safety, School Climate, and Classroom Management (http://schoolsafety.education.gsu.edu/) at Georgia State University. Dr. Varjas research efforts include school- and community-based projects investigating social emotional learning, mental health, psychological well-being, bullying, cyberbullying, and school climate. Dr. Varjas has received grants from the Center for Disease Control, U.S. Department of Education, the Office of Special Education and the Greater Good Science Foundation to support her work in investigating school climate, bullying prevention and intervention and positive behavior supports. Dr. Cixin Wang's research seeks to: (1) better understand different factors contributing to bullying/ victimization and mental health difficulties, including individual, family, school, and cultural factors; (2) develop effective prevention and intervention techniques to decrease bullying and promote mental health among students, especially among culturally and linguistically diverse (CLD) students. Dr. Worrell’s research interests and expertise include psychosocial development in talented and at-risk adolescents, cultural identities, including Black racial identity, ethnic identity, ethnic-racial identity, time perspective, scale development, and the translation of research findings into school-based practice. He studies primarily adolescent populations in the US and in several countries around the world. Yuvaraj’s research interests focus on the Antecedent Personality patterns and Health Consequences of Internet Overuse Behaviour in College going students. As part of this research, he has so far collected data from around 1000 students of different streams, such as Arts and Science, Computer Science, Medicine and Engineering students. In regards to Personality, he is using the Five Factor model of Personality and for the Health variable, he is using the health practices and flourishing-languishing model. In the case of Internet Overuse Behaviour, he is using the Internet Addiction Test developed by Young (1996) to screen for Internet addiction and then the Online Cognition Scale by Davis, Flett & Besser (2002) to measure the problematic Internet Use behaviour. Some of the interesting findings have been observed in this area, yet more explorations need to be done as the research is still ongoing. Dr. Zusho’s research interests focus on the intersection of culture, achievement motivation, and self-regulation. The overarching goal is to develop informed, less prescriptive, culturally sensitive theories of motivation and self-regulated learning that take into consideration the academic and motivational processes of students of color. With Dr. Rhonda Bondie, she is currently working on developing a motivationally-supportive professional development program on differentiated instruction called All Learners Learning Everyday.